India-EU FTA: Time for a Fundamental Rethink? 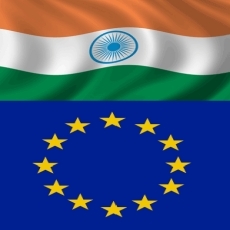 India and EU would soon resume negotiations on the stalled India-EU free trade agreement. In a joint statement issued by Prime Minister Narendra Modi and German Chancellor Angela Merkel in New Delhi on Monday, both leaders expressed their “strong commitment to the EU-India Broad Based Trade and Investment Agreement and committed to bring about a resumption of the negotiations as soon as possible.” With political leadership now backing the proposed agreement, the trade negotiators will sit down at the table again to thrash out the remaining issues. Like the TPP, India-EU FTA has undergone more than dozen rounds of negotiations between 2007 and 2013. Thereafter, a change of government in Delhi as well as EU’s negotiations with the US on Transatlantic Trade and Investment Partnership agreement delayed the negotiating process. The negotiations were expected to resume this year but got stalled in August 2015 when the EU imposed a ban on the sale of 700 drugs clinically tested by GVK Biosciences, an Indian drug company. In the case of India, the proposed FTA with EU is the most ambitious bilateral pact as it covers higher levels of commitments in trade in industrial goods and agricultural products, services and investment liberalisation, intellectual property rights and government procurement. In comparison, India’s existing FTAs are far narrower in scope. The India-EU FTA would cover 1.7 billion people, almost 20 percent of the world population, and therefore the potential impacts (both positive and negative) would be far reaching than other agreements signed by India. That’s why, it has evoked much public scrutiny. In India, civil society groups as well as business associations (such as Society of Indian Automobile Manufactures – representing car and vehicle industry) have expressed concerns over this agreement being negotiated in deep secret and lack of public consultations. Under this FTA, India is largely expecting gains in the services, especially IT and ITeS. India is seeking a significant relaxation for the movement of its skilled professionals (for short-term assignments) within the 28-nation bloc. This would enable Indian IT and ITeS industry to move professionals freely from one country to another within the EU. Currently the EU does not offer a work permit with validity for the entire EU. India is also seeking 50000 extra working visas a year for its citizens but the EU is unlikely to accept this demand due to higher youth unemployment rate, which reached 23 percent in 2013. In addition, New Delhi wants the EU to recognize India as a “data secure” nation which would immensely help the country’s IT industry to gain greater access to the European markets. But the EU is unlikely to accept this demand. The draft new Model text adopts a narrower definition of investments (limiting it to only FDI), removes MFN clause, and restricts the scope of national treatment and fair and equitable treatment clauses. It only allows investors to initiate international arbitration once they have pursued domestic legal remedies to resolve the investment dispute. In all likelihood, the EU would be reluctant to re-negotiate the entire investment chapter of the FTA as per India’s new Model text. Domestically, the Indian government will find it difficult to sell this agreement as a win-win deal and in the best interest of farmers, workers and producers. One cannot deny the fact that the larger gains from lowering tariffs on agricultural and industrial goods will be made by Europe due to higher import duties imposed by India. While Indian products are unlikely to gain much by further reduction of import duties by EU. In the case of cars, for instance, India’s import duty range from 60 to 100 percent while the EU charges a flat rate of 10 percent on imported cars. In addition, this FTA would have profound implications on local employment and manufacturing in India. The cheaper import of agricultural and manufactured goods due to lowering of import tariffs will negatively affect several labour intensive sectors. Unlike Europe, 93 percent of India’s workforce is employed by unorganised sector with abysmally low wages and no social security. The cheaper import of finished goods will also undermine local value addition which drives employment growth and promotes enterprise development. Needless to say, India badly needs both. In many important ways, the proposed FTA would run counter to ‘Make in India’ initiative launched with much fanfare by the present government. Hence, the Indian authorities need to undertake a holistic overview of the potential gains and losses from the proposed FTA with the EU and initiate consultations with all stakeholders. Some commentators argue that there is nothing per se wrong in pursuing geo-political objectives through bilateral trade and investment agreements but where is the evidence to substantiate that India’s enhanced geo-political rise in the world over the past decade has been made possible largely due to such agreements?